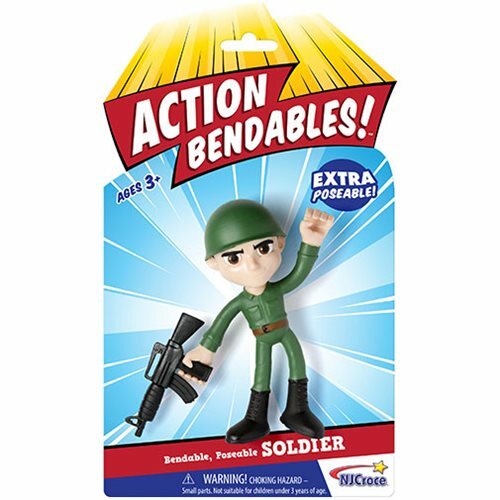 This terrific Action Bendables Soldier 4-Inch Bendable Action Figure is designed for the ultimate play value. Featuring fun energetic styling by Jason Meents and a rifle, the slim arms and legs provide extra flexibility for action poses, and the hands can grip accessories and other small objects. Ages 3 and up.